Spanish clams, specially in the North, are much larger than clams found elsewhere, and have more succulent bodies. This modern recipe uses Arab spicing to make a hot dip or sauce. Serve with plenty of fresh bread to mop up the delicious juices! Place the onion, celery, garlic and ginger in a large pan, add the olive oil, spices and chopped parsley and stir-fry for about 5 minutes. Add the clams to the pan and cook for 2 minutes. 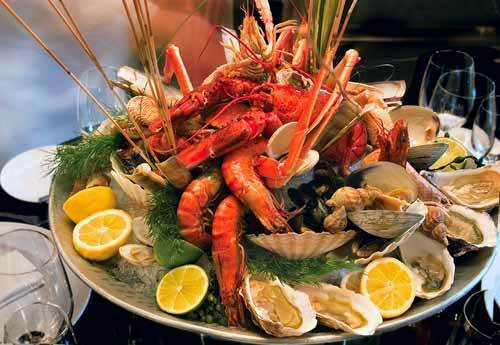 There are many different varieties of clam fished off the coast of Spain. One of the best is the almeja fina (the carpet shell clam), which is perfect used in this dish. They haved grooved brown shells with a yellow lattice pattern. Before cooking the clams, check that all the shells are closed. Any clams that do not open after cooking should be discarded.